Fantastic semi-detached with incredible sea views. 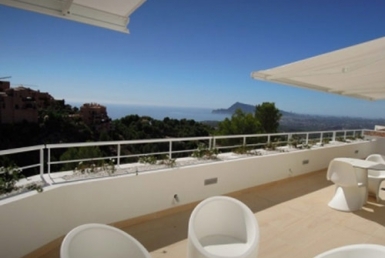 It is located in the area of Mascarat, only 6 km from Altea and Calpe and 2 km from the AP-7 motorway. NICE SEAFRONT APARTMENT PERFECT FOR LIVING ALL YEAR. 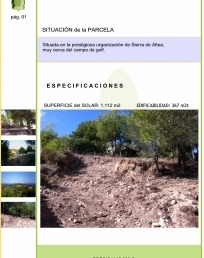 MAGNIFICENT PLOT VERY CLOSE TO THE GOLF COURSE.